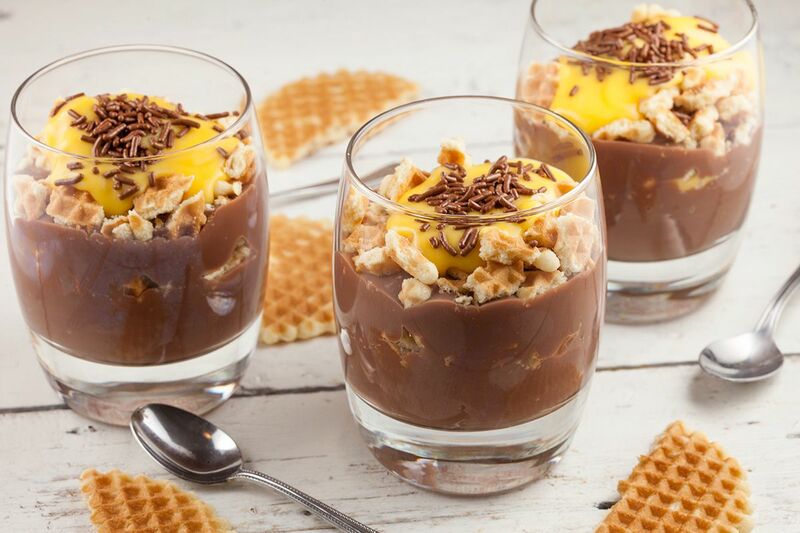 The classic combinations in this eggnog, waffles and chocolate dessert are super easy, maybe that's why it's even more delicious! 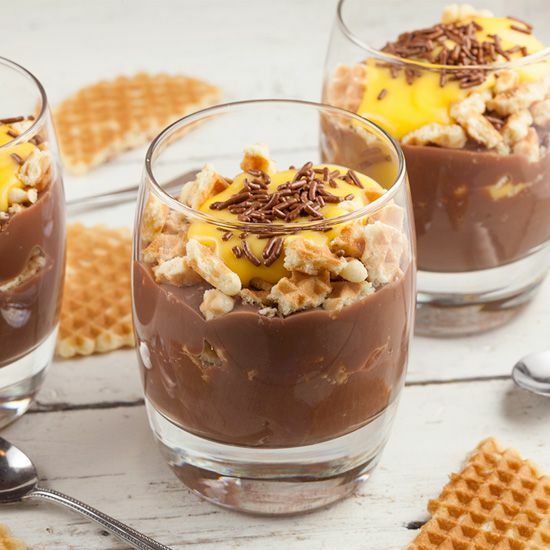 There’s no need for any preparation for this super easy dessert. 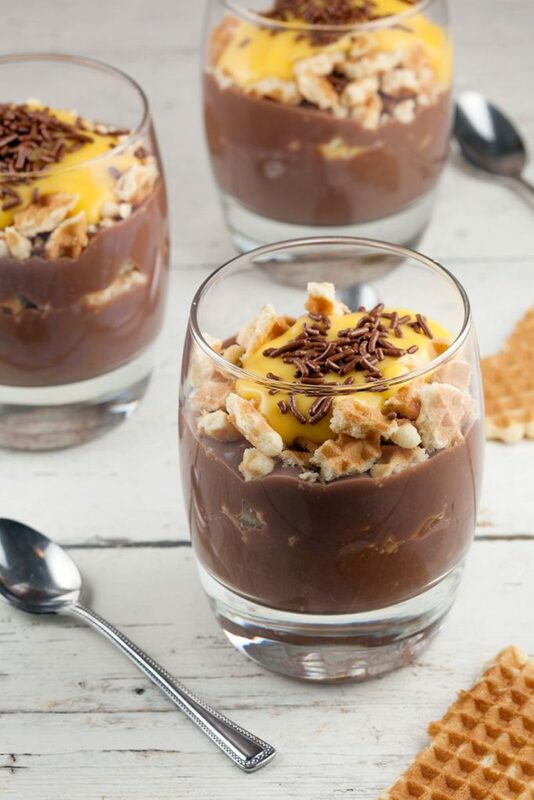 Make sure the glasses are cleaned and pour in a layer of chocolate pudding in every glass. DIVIDE 1 waffle into pieces per glass and ADD a spoonful of eggnog. The easiest way to get the eggnog neatly into the glasses, is by pouring it into a small bowl first and use a spoon for dividing. 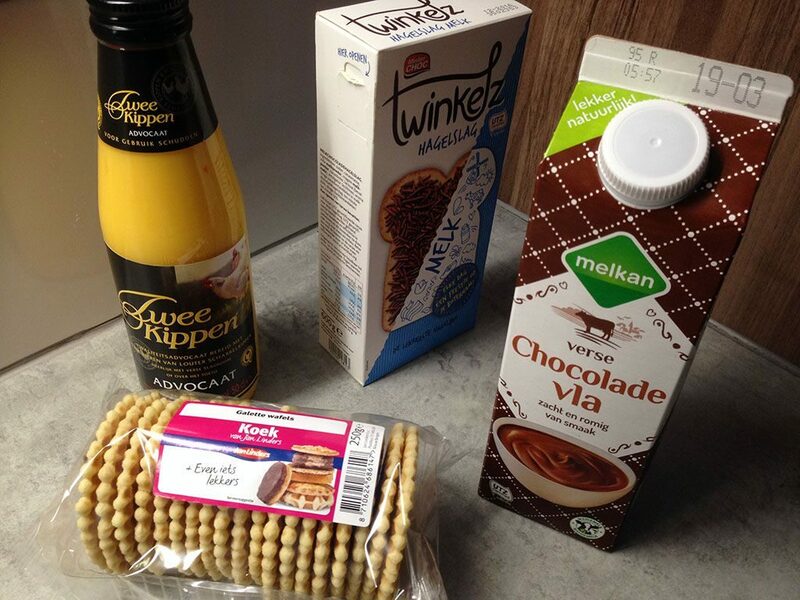 REPEAT the chocolate layer, waffle pieces, a spoonful of eggnog en GARNISH with hagelslag or chocolate shavings. Enjoy!